Make the ideal motor selection for irrigation applications. Of the 6.3 million farms in the U.S. in January 1925, only 205,000 received centralized electric services. Private utility companies that supplied electric power to most of the nation’s consumers argued that it was too expensive to string electric lines to isolated rural areas, and most farmers were probably too poor to afford it. To rectify that situation, the Rural Electrification Administration (REA) was created by executive order and was charged with administering loan programs for electrification and telephone service in rural areas. Between 1935 and 1939—the first 4½ years after REA’s establishment—the farms using electric services more than doubled. Even though farmers were gaining access to the power grid, they were still using diesel engines to power their pumps. One reason for this is that they had already invested in diesel. Also, in most cases there simply was not enough juice to power the farmhouse and the pump house. By the early 1970s, about 98 percent of all U.S. farms had access to affordable electric service. Many farmers, though, were still using engines to power their pumps and would continue to do so. Most would argue that despite some price spikes, diesel fuel was still cheaper than electricity. After all, those diesel engines still worked. Why switch to electric? The trend toward switching from diesel to electric began gaining steam within the last 15 years. Environmental controls and regulations on the operation of diesel engines and the rising cost of diesel fuel have accelerated the conversion. Changing from diesel to electric makes sense from several different standpoints. Figure 1. Total annual costs in thousands to operate a 75-horsepower irrigation pump 1,500 hours per year using an electric motor or diesel engine. Operating and maintenance cost advantages are available when switching from diesel to electric. On the operational front, end users must consider the cost of diesel fuel. It is expensive, and likely to remain so as global demand rises. 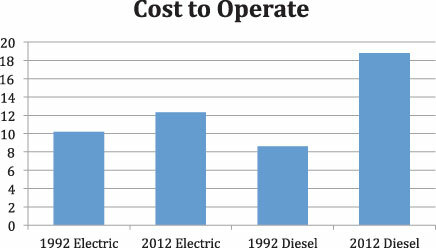 Figure 1 illustrates that running an engine on electricity is less expensive than running one on diesel. That was not the case in 1992, but times have changed. The economics of irrigation pumping favor electric motors. The cost for electricity can vary depending on when and where it is consumed. Avoiding peak power demand times can lower the costs of electricity even further. In some parts of the U.S., irrigating at off-peak hours is a good economic idea and often mandated. From a maintenance standpoint, electric motors win this battle, too. Maintenance on a diesel motor requires more time and attention than electric motors. Depending on the application, a pump engine may be required to run for extended periods if that pump drives multiple systems during the irrigation season. If so, the diesel engine will constantly need to be refueled and the oil levels and filters will require monitoring. Electric motors do not have to be refueled. They also do not have engine oil and filters that must be checked and replaced. They only require lubrication once every season. Perhaps the overriding motivation to change to electric, particularly in the past few years, is the concern with environmental issues. An electric motor runs cleaner than a diesel-powered engine. Electric power plants continue to create power in cleaner ways. Also, the addition to the grid of alternate energy sources, such as wind and solar, provide electricity with virtually zero carbon emissions. An electric motor allows for the use of much lower carbon emission power versus a comparable diesel engine. The harmful environmental effects from internal combustion engines outnumber those from electricity. In addition, installing pump controls and variable speed controls is easier on an electric motor than it is for a diesel engine. While these types of controls can be added to diesel engines, they are costly, and more important, they can reduce the efficiency of the engine. This is not the case when adding controls and variable speed features to electric motors, which when applied correctly, greatly increase the efficiency and durability of the motor, improve control in pipelines and canals and reduce energy use. Electric motors can be automated and controlled remotely. Variable speed drives and soft starters in electric motors are components that help mitigate power surges. The technology exists and is growing quickly based on ever decreasing costs to monitor and control an electric-driven irrigation pump system remotely.